Green Giant Fresh, a leading innovator in value-added fresh produce, has expanded its fresh vegetable offerings with a new line of Vegetable Meal Bowls, featuring a growing variety of authentic global flavours. The new line includes six varieties: Buddha Bowl, Burrito Bowl, Fried Rice Bowl, Pad Thai Bowl, Ramen Bowl and Rancheros Bowl. Each bowl includes a 100% fresh vegetable base, inspired by the company’s Cauliflower Crumbles line and Vegetable Noodle line. 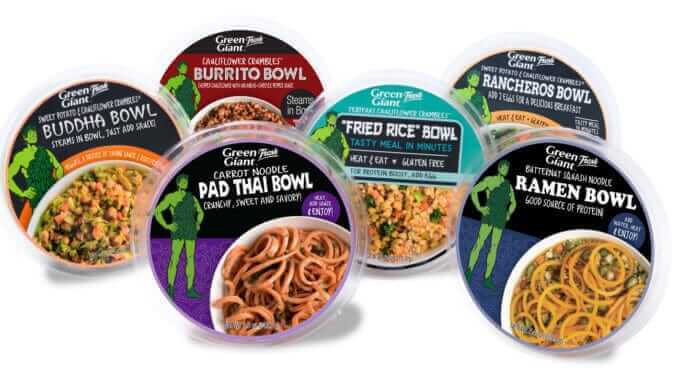 Green Giant Fresh has partnered with dietitian and food and nutrition expert Amanda Lemein, MS, RD to highlight a versatility of the bowls.